The fairway bunker on the right is a danger to drives, but the green is bunkerless. The hole is named after the vine yellow jasmine (scientific name: gelsemium sempervirens), which is a Southeastern U.S. native species. It produces yellow blooms, but the flowers are usually gone by tournament time. Yellow Jasmine is a birdie hole: It has played, over the course of the Masters' history, below par with an all-time stroke average of 4.83. That ranks it as the 15th most-difficult hole (or fourth-easiest) on the course. In fact, No. 8 has never played above par in any Masters Tournament. 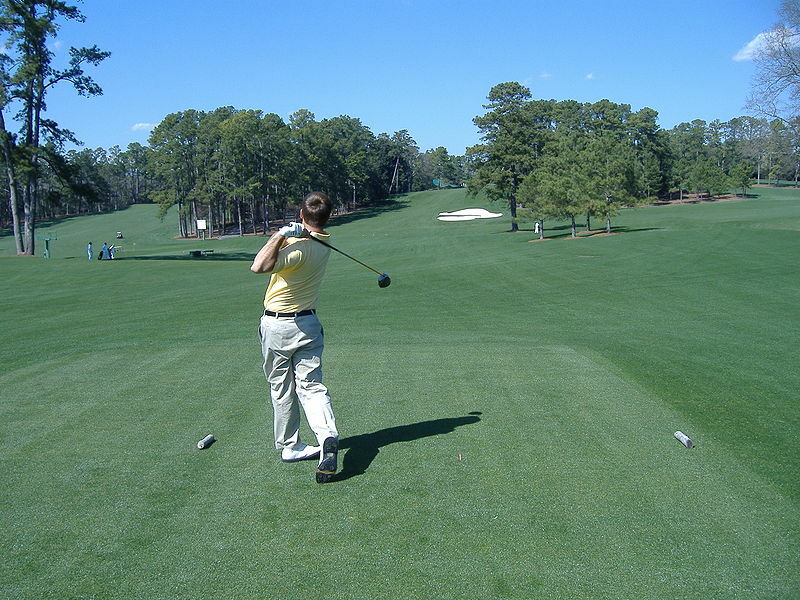 The highest tournament stroke average on the 8th is 4.99 in the 1956 Masters. The lowest is 4.63 in the 1974 Masters. Highest score ever on No. 8: Masters champion Jack Burke Jr., playing the 1966 Masters about 10 years after his retirement from tournament play, scored a 9 on the hole. That's the record for highest score on No. 8. Lowest score ever on No. 8: The best score ever made on No. 8 happened in the 1967 Masters when Bruce Devlin holed out his second shot for a double-eagle 2. That's one of only a handful of double-eagles in Masters tournament history. Best tournament score ever on No. 8: What about cumulative score on No. 8 during a single Masters? Devlin's double eagle happened in the first round of the 1967 Masters, then he birdied it the following three rounds. Devlin's total score that year on No. 8 — 6-under-par 14 — is the record. Worst tournament score on No. 8: And the highest four-day score on Yellow Jasmine is 5-over 25, recorded by Ernie Vossler in the 1956 Masters.